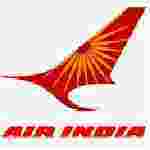 Air India Executive recruitment 2016-17 notification apply for 45 vacancies : Air India Express welcomes application for the position of 45 senior executive and executive vacancies on fixed term employment basis. corin for schedule caste categories candidates / schedule tribe categories candidates. Applicants may appear walk – in – interview on 4th July 2016.Candidates who completed their MBA, CA, ICWA, BE, B.Tech. is a good opportunity.The individuals who are the occupation seekers searching for govt employments in India this is the best chance to apply. Competitors read the official notification then read all the guidelines and miners precisely then apply before the last date online application got. All the interested and eligible candidates can appear walk in – interview on 25th July 2016. Govt jobs for MBA, CA, ICWA, BE, B.Tech. Educational Qualification for the Job: MBA, CA, ICWA, BE, B.Tech. Candidates Age Limit: The upper age of the candidate is 48 years. Academic qualification details: Candidates should have MBA or equivalent in marketing / HR / Finance. Candidates Age Limit: The upper age of the candidate is 45 years. Academic qualification details: Candidates should have MBA / CA / ICWA / BE / B.Tech. in computer science / electronics / IT / mechanical / Aeronautical / electrical / instrumentation / industrial production or equivalent in HR / marketing / finance / material management. Process of selection for the job: The selection of the candidates will be on the basis of walk – in – interview that will be held at Air India Engineering services limited, Office of the General manager (Engineering), Northern Region new Avionics complex, Terminal – 2, I.G.I, Air Port, New Delhi:- 110037 on 25th July 2016. Details of Fee particulars:All the interested and eligible candidates are need to pay application fee Rs 2000/- through demand draft drawn in the favor of Air India engineering services limited payable at Delhi. Schedule caste categories candidates (SC) / schedule tribe categories candidates/ EXSM categories candidates are exempted from application fee. Process of applying for the job: Candidates may apply in prescribed application form along with self – attested photocopies of relevant documents and demand draft at the time of interview that will be held at Air India Engineering services limited, Office of the General manager (Engineering), Northern Region new Avionics complex, Terminal – 2, I.G.I, Air Port, New Delhi:- 110037 on 25th July 2016.